Each time you go on a scuba dive, it is your basic equipment that allows you to enjoy the activity. After all, how would you be able to breathe underwater without your oxygen tank, or take pictures without your underwater camera? 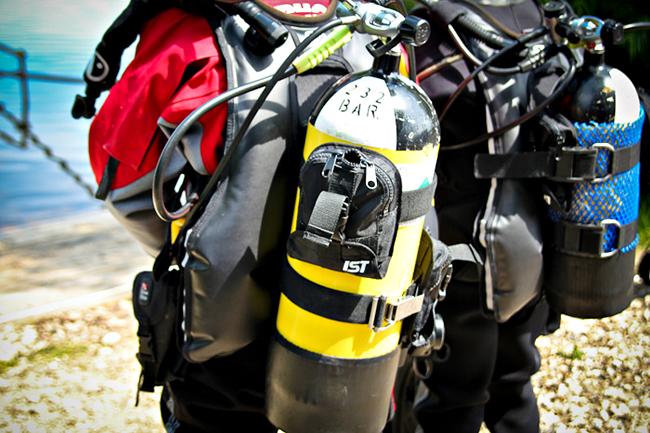 Scuba dive equipment is extremely important for each diver to have. Almost as important is knowing which pieces of equipment to buy, which ones to rent, and which items you just don’t need! Much of the equipment required for scuba diving is standard, which means it can be rented if you do not wish to purchase it. An eye mask, with a nose covering included, is a standard piece of equipment; as is a snorkel. Fins, which allow you to propel yourself through the water, are also standard equipment. It is important to have some kind of an exposure suit: a wetsuit is ideal for warm water, while you will want to have a dry suit for cold water. Some exposure suits even come equipped with gloves and boots! 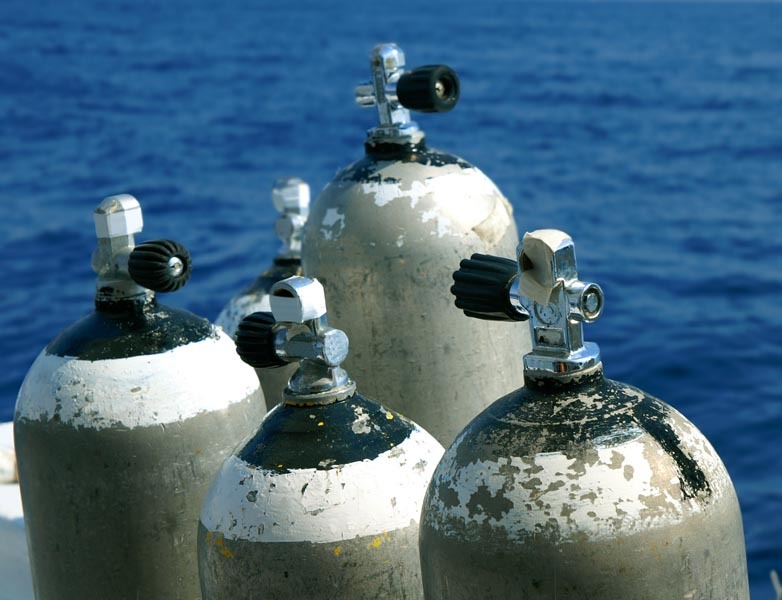 There are several other pieces of standard scuba dive equipment that are needed before making any diving expeditions. A depth gauge and Submersible Pressure Gauge are needed, as is a timing device. All divers also need some sort of weight belt or weight harness, as well as an air tank. Finally, no scuba diver can go without a regulator or a Buoyancy Control Device (BCD). Some pieces of scuba equipment are not absolutely necessary, but they will enhance your experience if you choose to invest in them. 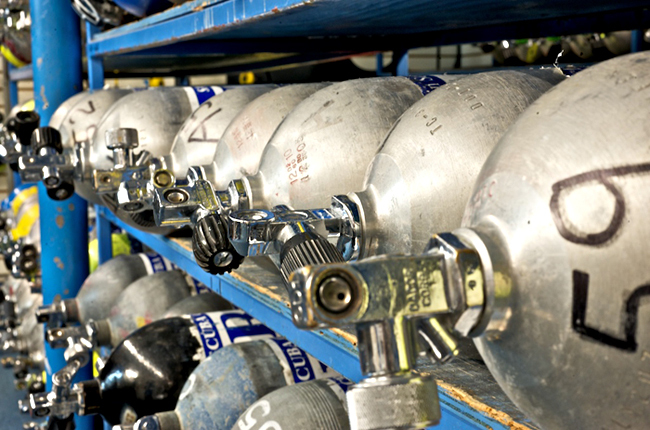 Such equipment includes enriched air tanks, a dive computer for calculating depth, and underwater photography equipment. 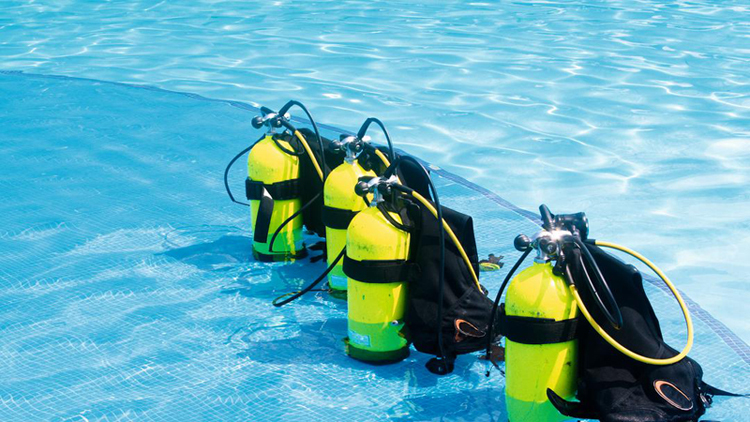 Both standard and optional diving equipment can be expensive to replace if something is lost or damaged. This is why it is a good idea to get special diver’s insurance. This insurance will cover most items, while basic travel insurance will not. It is important to know which equipment you should rent and which equipment you should buy. Items such as the mask, fins, and snorkel should be purchased because they need to be custom fit to your face. However some items are more heavy and cumbersome, such as air tanks and weights. These items are typically rented at the destination. As far as other equipment goes, it is up to you whether you want to buy it or rent it. This might depend on your experience and how frequently you go diving. 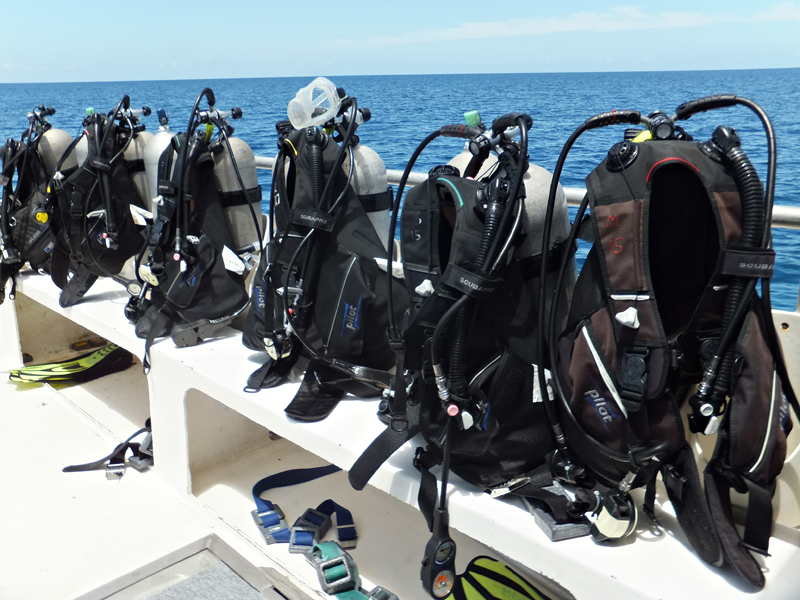 The better your equipment is, the better your diving experience will be. Investing in higher quality scuba dive equipment will allow you to advance your scuba diving hobby even further. This entry was posted in Accessories, Dive Gear, New To Scuba, Safety, Scuba Diving. Bookmark the permalink.